For a majority of Information Security professional services engagements, a classical approach to project management suffices to provide tactical, transactional functions and ensures projects are delivered on time, on budget and as expected. There are exceptions, however, where the deployment of complex Information Security implementations requires a more strategic approach to project management - a Program Management perspective - one that is based on relationships as much as true classical PM skills. The following information highlights a high-level, minimal approach required for a successful engagement and a link to the full white paper is available at the end for a more detailed review. This is a successful approach and enables the Project Managers to maintain clear channels of communication with our clients and FishNet Security management team to help deliver project success. From my perspective, there are times when the deployment of complex Information Security projects, such as Identity and Access Governance (IAG), has a need for a more strategic project management approach, one that is based on “relationships” in addition to traditional project management skills and experience. Business Relationships - Interpersonal relationships that need to be established and maintained among the various organizational units that will feed or benefit from the IAG deployment. Process Relationships – Interdepartmental business process relationships that need to be defined via business process reengineering and maintained. Technology Relationships - Intersystem technology relationships that need to be established and maintained because an IAG deployment will rely on new technologies to be deployed in addition to interfacing with existing systems and technologies. Data Relationships - Interdepartmental data relationships that need to be defined and maintained since an IAG deployment will rely on data consistency across an organization. Two takeaways from this relationship building discussion are the need for these relationships to be “inter” or among and the need for these relationships not only to be defined and established but also maintained. A strategic approach to project management (Program Management) considers the definition, documentation and maintenance of these relationships to be an integral part of Integration Management in addition to Organizational Change Management and establishing a governance process. In closing, a strategic approach to project management focuses on the bigger picture and decisions made within that bigger picture and not just the immediate Statement of Work. 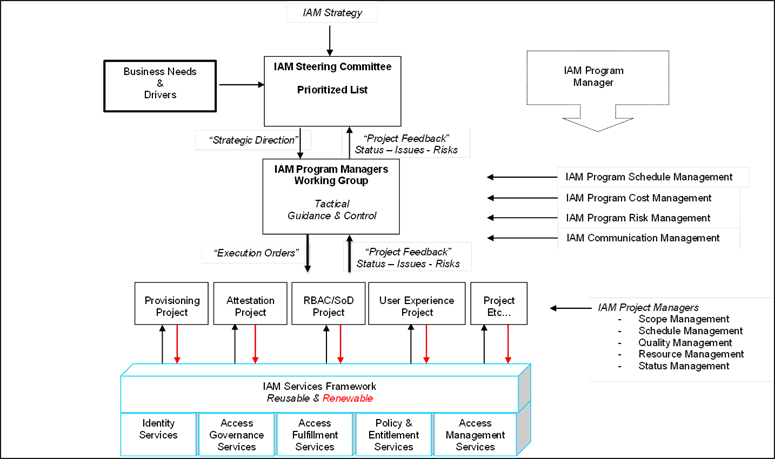 This approach of taking the enterprise or “inter-prise” perspective to complex information security deployments like IAG, moves the strategic project manager into more of a program manager role to address the multiple aspects - people, process, technology, data and opinions - that must be defined, managed and controlled. For more detailed information on how to improve the success of your projects, download the free white paper. Learn how we can apply the advances of medicine in the 18th century to cyber security through an experimental approach and reliable reporting.